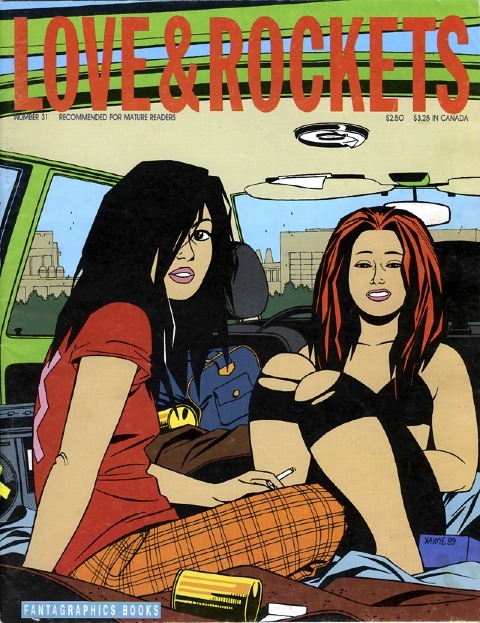 We knew Jaime Hernandez was popular, the celebrated co-creator of Love & Rockets and author of some of the greatest graphic novels ever, but the response to his exclusive speaking engagement in London at the end of this month has been phenomenal. Due to massive demand for tickets which have almost sold out already on WeGotTickets, Comica have moved Jaime Hernandez's Comica Conversation with Woodrow Phoenix to a bigger venue, the fantastic Ciné Lumière Cinema at the Institut Francais. This lets the team offer a further batch of tickets through their own Box Office - here is the booking link - or ring the box office on 020 7871 3515 - these will also be snapped up fast! New Earlier Start Time: 6.00pm to start 6.30pm SHARP on Thursday May 30th! Runs till 8pm, followed by signing. "We're thrilled that this extra-special Comica Conversation is being hosted by the third BD & Comics Passion Festival," says Paul Gravett.